I’ve got so many ideas bubbling through my head all the time, and in an effort to be more ‘focused’ (see my word-of-the-year post HERE) I thought I’d list some of my blogging goals here. That way I will have something to refer back to when I start to get distracted, and knowing that you all know my plans will help me to stay on track! Goal One: Plan ahead more. I’m usually pretty good about planning ahead for my blog events, but I’m terrible about planning my blogging for the rest of the year! Posts go live sporadically and on random topics that I feel like creating and blogging about at the time. This has got to change! I downloaded the above planner HERE at Mama Miss. I bought the all-inclusive package for $10. There are free blog planners out there if you search for them, but after some debate I decided this one was worth the $10 because I loved the design (and therefore wouldn’t get bored of looking at it by the end of the year) and there was so many different kinds of useful pages. One section I was interested in was the holidays/occasions for each month – they are VERY American as that’s where Mama Miss lives, but I think I can just cross-out and add in where neccessary. I find it useful to know when the USA are celebrating anyway as I have some fabulous readers from all around the world (Hi there!). As you can see my planner isn’t bound together yet, nor have I written in it at all. But I’ve printed it off, so that’s a start, right? I need to put it together and start filling it out this week. Goal Two: Blog 5 times a week. The above shows a screenshot of my archive of blog posts (which you can find in the sidebar). I didn’t expand the November archive as that’s a gigantic list thanks to Frosty Festivities! You can see that my posts are a bit random. Only two posts for August, only three in December. A few more in September and October. I don’t like it looking like this! I want to try and post 5 times a week, probably Monday – Friday. I almost wrote ‘post more regularly’ as the goal, but I realised that wasn’t specific enough. I usually aim in my head to post 2-3 times a week, and as we can see that means I only blog once or twice a week, if that. So maybe if I aim for 5 times a week I’ll end up with at least 3 posts a week on average! I will continue to mix up various crafts, but as the year goes on I hope to make it so that certain days will be certain things eg, Mondays – Scrapbooking, Tuesdays – Cards, Wednesdays – Industry/Blog News, Thursday – Home Decor, Friday – Kids Craft. Or something like that. We’ll see how it goes. For now, more posts with great content is the main goal! Goal Three: Earn money from blogging / designing / Etsy shop. I’m going to be perfectly honest here. My son starts school in Sepetember. If I’m not earning at least a little bit of money from blogging / designing / my Happy Scatter Etsy Shop by then, I will have to get a job instead. This isn’t the end of the world or anything, I know plenty of people work hard and still manage to create amazing blogs. But I know it will seriously decrease my enthusiasm for blogging. I certainly won’t have time for my bi-annual blog events, even if I had more guest designers the amount of time it would take to organise and co-ordinate that would be beyond me. I don’t do all my blogging during the school day at the moment or anything, but I do get a little done here and there – more imporantly I get the housework done during the day. If I’m at work while the kids are at school, so I need to do the housework in the evening, that means I loose my evening blogging time. Anyway, I’m not trying to get any sympathy or handouts or anything like that! I’m just putting this here as it is a goal of mine, and I want to explain why you might start seeing more adverts / affiliate links, etc on here. I’m not going to let them take-over, and nothing will happen that I don’t feel is in-keeping with my blog theme and design. Mostly you’ll be able to ignore them if you choose. 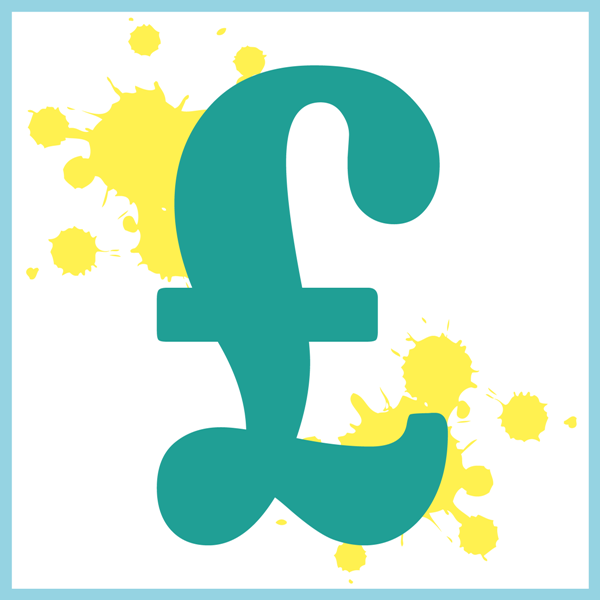 Perhaps if you enjoy a blog post here you’ll click through an advert or buy from an affiliate link as a way of saying thanks, but that’s totally up to you, no pressure. Regarding Happy Scatter I also don’t want that to take over this blog. I’ve set up a Happy Scatter Facebook Page so I can share more stuff on there, and in a few months I might set up a Happy Scatter blog. In the meantime there will only be one or two Happy Scatter posts a month here, as I don’t want you to feel like I’m overselling the shop. 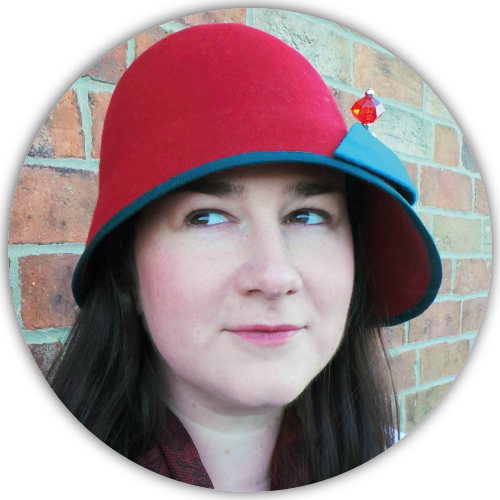 I seriously don’t want to offend / upset any of my regular readers – you can always contact me at jennifergrace@hotmail.co.uk if you want to discuss any changes on my blog! Goal Four: Network and learn more in the industry. One of the best things I did last year was going to the Cricut Explore Launch which I was invited to in London. Not only was I given an Explore machine and lots of materials since (which I’m still loving using) but I also met some other bloggers from the UK and the US, and some industry professionals like Ashish Arora (the CEO of Cricut). Getting out of my little home down in deepest Dorset and meeting other people who are as passionate about the crafting industry as I am was inspiring. I’m lucky that I do have a crafty friend (Sarah) who lives near enough for me to pop and scrap with occasionally. 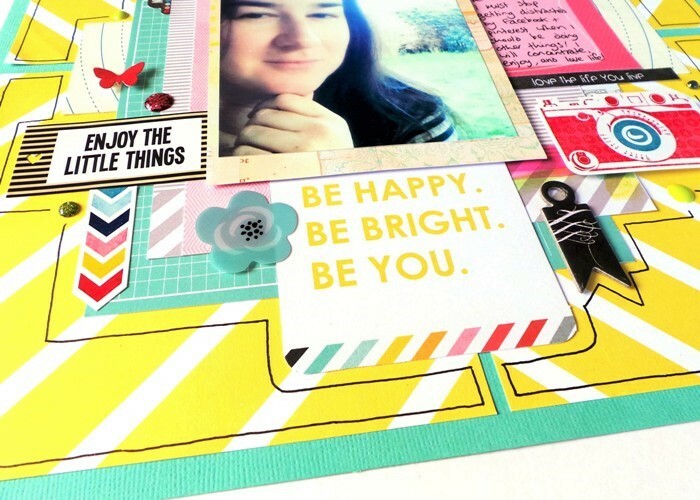 She’s also set up a Facebook group for UK scrapbookers to chat on: For The Love Of Pretty Paper (UK Based Scrapbooking Group). And I did get to go on a lovely scrappy retreat in November too. While these are fabulous and relaxing and therapeutic, in 2015 I’d love to meet even more bloggers and industry professionals, to keep my drive going and to teach me more about where I can take my blog and my crafting. 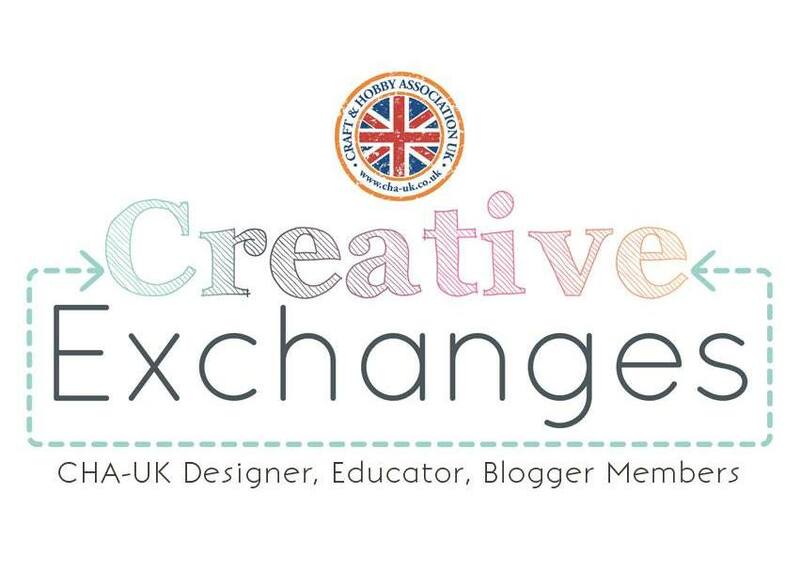 So I’ve signed up to become a member of CHA UK, and I am going to their Creative Exchanges Weekend on the 18th – 20th April! I am super excited about this. I was excited anyway, because the list of education topics sounds so interesting, and then during a chat with Sarah Hurley (who is involved with CHA UK) she mentioned there would be a onesie party and film night too, which sounds like fun, and when I said I wanted to learn more about using Pinterest to drive blog traffic she mentioned that actual Pinterest would be coming to talk about Pinterest. I can’t wait now! I’ll be sure to tell you all about it when I get back! Because I think 5 goals is quite enough to be going on with, I’m squeezing a few small goals into this one, as ‘making tweaks’, mainly to the blog layout / design. 1. To update the pages accessed from the menu bar – ‘blog events’ needs updating already, and the ‘about me’ page could do with a freshen up! 2. Optimising the blog to be viewed on mobiles / tablets. How did I only just realise that it’s hard to read my blog on a mobile phone? I read blogs on my phone all the time, but apparently not my own blog, as I hadn’t noticed. Time to sort that out! 3. Create a press/media pack page. Yeah, I don’t know much about these other than I should have one if I want to make money blogging. Something else to learn! One final important goal: to have fun! I don’t want this blog to feel like a chore, so I will still be blogging only the things that excite me or which I enjoy doing! Stephanie at Skyline Paperie recently published a blog post about starting a blog (you can see the post HERE). She asked a few others for hints and tips and my tip was to blog what YOU want to blog. So I’m going to stay true to my own advice and if I find I’m not enjoying any of these goals I will re-think them and let you know the new plan! Thank you so much for reading, and for continuing to support Jennifer Grace Creates with your visits! Do you have a blog? 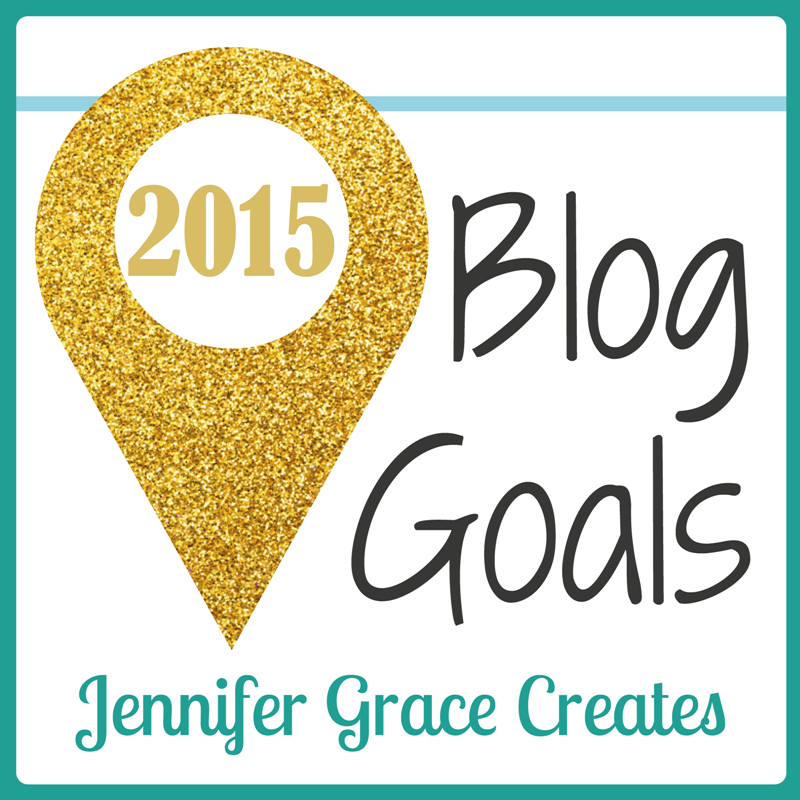 If yes, do you have any blogging goals for this year? What do you want from your blog? Focus – My Word for 2015! Here’s my first layout for 2015! This was mainly brought about because I get sooooo easily distracted. When I’m supposed to be designing or blogging I’ll often wander off into Facebook or Pinterest and not get my work done. Or when I’m playing with the kids I might be thinking about what I’m going to cook for tea. When I’m watching telly I’m also partly thinking about what scrappy stuff I want to buy! 1. To make sure that when I turn the computer on to blog or design then I don’t check FB for at least an hour. And then I’ll set a time limit of 20 mins for how long I’m allowed to be distracted for. 2. When I’m planning to play with the kids I’ll write a little note-to-self first about what my next chore is, and then leave that note, and my phone, in a separate room to where we are playing. They are small steps but I hope they will start to make a difference in my life. Otherwise I feel like I’m never tryuly enjoying the moment because my mind isn’t focused! As a side-note to the word ‘focus’ I do also want to learn more about taking photos and playing with camera focus too! Mostly I’m just trying to be happy, and bright, and me! I love this quote card from the Pink Paislee Hello Sunshine collection. The yellow background paper is from the same collection (the sheet is called ‘Rain Boots’) I cut it into four smaller squares, and then placed them on the background in the right configuration but with a little bit of gap between them so the yellow wan’t so overpowering. I’m not sure I like the black pen doodling I did at the end to finish the page off, but at least it’s something a bit different for me! Well I feel pleased to have finished my first page for 2015, here’s to many more! Have you been scrapping / crafting much yet? Do you have a ‘word for the year’? I’m also excited because this weekend is the big CHA show in Annaheim USA. I wish I could go to it, but that’s a far-off-dream, so instead I’ve been watching as lots of manufacturers show off new products on their blogs. I love seeing all the new things come out! 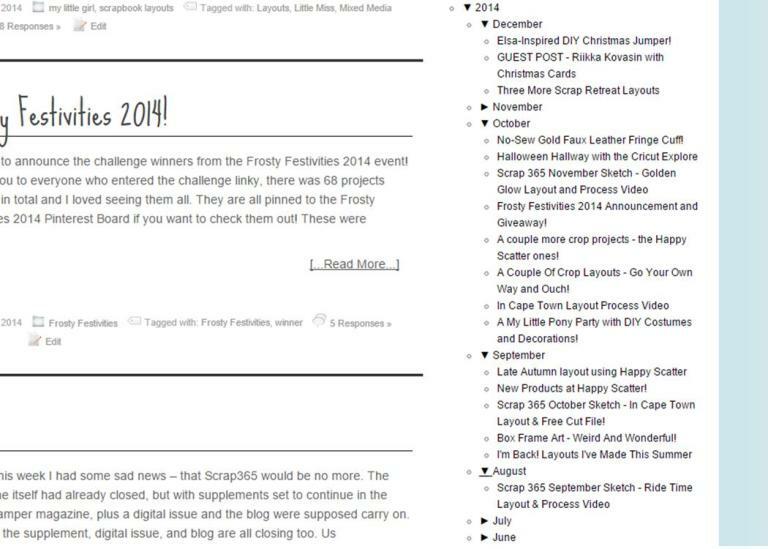 Scrapbook Update has links to most of them HERE if you want to check them out. I’ll have a CHA product picks post up sometime next week to share my favourite things! 25% Off Happy Scatter New Year Coupon Code! Happy New Year! Let’s make 2015 a good one! If you’ve been waiting to treat yourself to some new embellishments / stencils, now’s your chance. Use the coupon code HAPPY2015 for 25% off your order – valid from today (1st January 2015) until Monday (5th January 2015). If something sells out which you wanted to buy then let me know, I can produce more of most items EXCEPT the wood veneers. Once the wood veneers are gone they take a couple of weeks to order back in so hurry if you want some of those with the discount code! The 25% discount applies to products only, not shipping costs or tax rates. It can not be used against previous orders. I have been making lots of plans for the shop, but also for this blog… there will be a few design tweaks going on here and lots of new content coming, so watch this space!